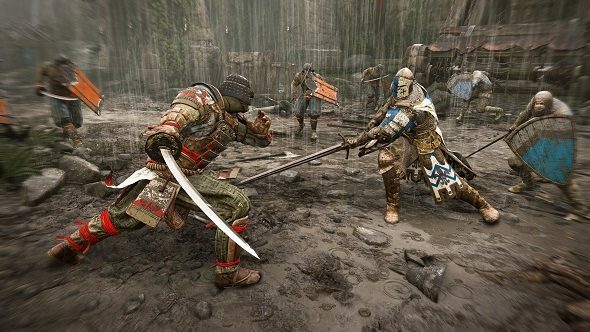 Soon, you won’t just be bashing vikings and samurai over the head for glory: For Honor is getting a new tournament, the For Honor Hero Series, where the best players will compete for a $10,000 prize pool. The first European cup has already started, but there will be four cups leading to the finals on August 12. Want a new controller for For Honor? We’ve got a list of the best PC controllers you can buy. There are cups for each platform, and it’s open to those in Europe, North America, or Brazil, with the best overall players getting invited to the finals. The final will be broadcast on Twitch, Facebook, and YouTube, from Burbank, California. In case you’re less of a player and more of a caster, they’re also looking for folks who can join the analyst desk, and want people to submit their own casting clips. If that’s more your bag, you can submit those at this link. For links to sign up for the individual cups, you can check out the official announcement post for the Hero Series. Sean Charles of ESL also promises “a lot in store for future For Honor professionals,” so hopefully we’ll see more tournaments for the game soon.